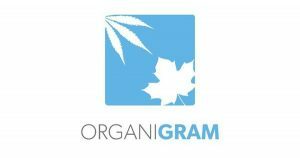 MONCTON, NB, Oct. 17, 2018 /CNW/ – Organigram Holdings Inc. (TSX VENTURE: OGI) (OTCQX: OGRMF), a leading licensed producer of medical marijuana, is pleased to announce that it has, through its wholly-owned subsidiary 10870277 Canada Inc. (the “Purchaser” or “OGI”), executed an investment agreement dated as of October 10, 2018 with alpha-cannabis® Pharma GmbH (“Alpha-Cannabis Germany” or “ACG”) pursuant to which the Purchaser will acquire 8,333 common shares of ACG, representing a 25% stake in the capital of ACG, for aggregate proceeds of €1,625,000. The closing is subject to certain formalities under German law largely of an administrative nature. As part of the investment and effective upon the closing of the investment, OGI’s wholly-owned subsidiary, Organigram Inc. will enter into two supply agreements with ACG: one for the supply of cannabidiol isolate from ACG to Organigram Inc., and the other for the supply of dried cannabis flower from Organigram Inc. to ACG. In addition, ACG and Organigram Inc. will enter into an agreement pursuant to which the companies will jointly evaluate and bid on certain licenses to supply medical cannabis to the German market. In addition, upon ACG achieving certain milestones, the Purchaser will pay ACG additional consideration of €875,000 payable in common shares of OGI to be valued in accordance with a volume-weighted average price formula described in the investment agreement. The issuance of the OGI shares is subject to compliance with TSXV corporate policies. Alpha-Cannabis’ Managing Directors Alexander Klomsdorff and newly appointed Dr. Volker Christoffel are pleased that the agreement with Organigram has now been formally finalized. ACG has been preparing the development and production of further cannabis based products for the swiftly growing German and European Markets following their recent product launch of “Cannabidiol alpha DAC”. “We look forward to a strong and fruitful partnership with our Canadian partners as we see significant potential in jointly materializing the medicinal benefits of Cannabinoids” ACG’s Managing Directors stated.